If you want up-to-date discounts for the commissary and exchange at March Air Reserve Base, formerly known as March Air Force Base (March AFB), you’ve come to the right place. At MyMilitaryDiscounts.com, you can take advantage of our useful tools that are designed to make shopping easier and more affordable for families living on military bases around the world. 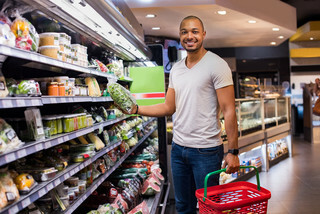 We understand the difficulties military families often face, so we feel that trying to save money at the exchange or commissary should not be a hardship. On top of the many savings opportunities we offer to improve your shopping experience at the commissary and exchange, MyMilitarySavings.com provides a virtual community for military families around the world. Whether you’re stationed at March Air Reserve Base in California or elsewhere, you can enjoy shared stories, recipes, shopping tips, and more. For more information about the exchange and commissary savings you can enjoy at March ARB, CA, join MyMilitarySavings.com for free today.